Well done to all our Patrol Leaders (PLs)who attended the PL Training Weekend in Petersburg, Co Galway from Friday 13th October to Sunday 15th October. This weekend allowed PLs from Scout groups all over Galway county to meet, exchange ideas and under going training on such items as running a patrol, a Patrol Leaders Council, Conflict resolution etc. One of the Athenry PLs was elected as County Rep. Will done. This entry was posted in Scouts, Training on October 19, 2017 by Eamonn Murray. Just a reminder that our AGM and registration night is on this Tuesday 3rd October at 19:30 to 21:00 in the Presentation Sports Hall, Athenry, Co Galway. This entry was posted in AGM on October 19, 2017 by Eamonn Murray. 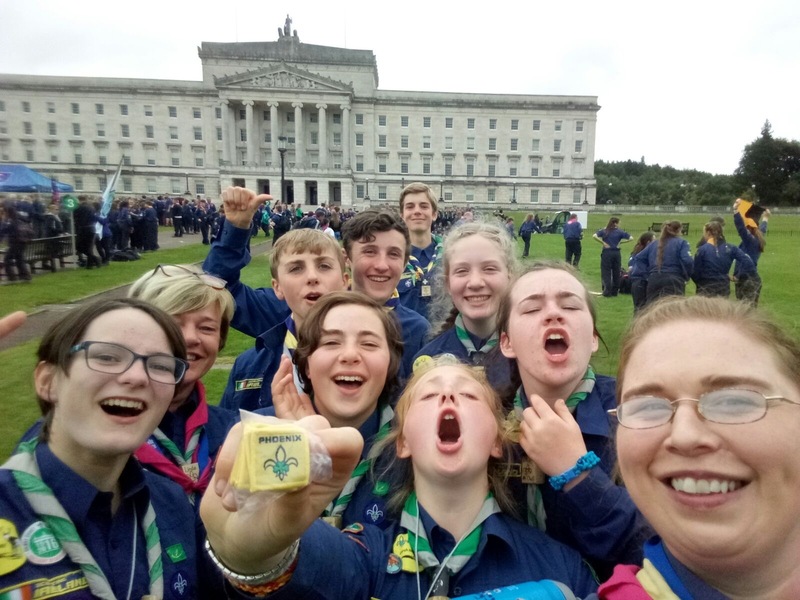 Over the weekend of Friday 15th September to Sunday 17th September the 19th Galway Athenry Scouts held their second Group camp in Esker, Athenry. This camp was youth lead with each of the sections (Beavers/Cubs/Scouts/Ventures) responsible for and running a portion of the camp. This was the first time our Beavers have camped with eight beavers camping over night. A great time was held by all. Photographs will be available shortly. This entry was posted in Beavers, Camping, Cubs, Scouts, Ventures and tagged Beavers, Cubs, Scouts, Ventures on October 18, 2017 by Eamonn Murray. Don’t forget that Beavers, Cubs, Scouts and Ventures Start back on Tuesday 12th September. This entry was posted in Beavers, Cubs, News, Scouts, Ventures and tagged Beavers, Cubs, Scouts, Ventures on October 18, 2017 by Eamonn Murray. Well done to the Turtle Patrol who won Gold at Scouting Irelands National Camping Competition, The Phoenix. Not only was this the first time that either group sent a patrol but they also won the Spirit of Scouting Award. 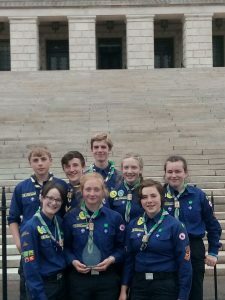 This Gold standard is due to the all of the hard work that the eight patrol members but in over the summer with weekly meeting and daily meetings lasting 4-6 hours in the two weeks prior to the camp. This entry was posted in Camping, Phoenix, Scouts and tagged Camping, Phoenix, Scouts on October 18, 2017 by Eamonn Murray.